A Federal Court ruling may have allowed medical marijuana users to keep growing pot at home for a while longer, but much uncertainty remains about the new Health Canada rules they face on April 1 and the new private-sector commercial marijuana production industry that could be worth more than $1 billion a year by 2024. Medical marijuana users across Canada can be forgiven for being confused right now. First, they thought that with the new medical marijuana regime that comes into effect tomorrow, they would lose their ability to grow their own legal pot at home and have to buy it instead from new large-scale commercial operations. Plus, it seemed the users would have to dismantle their own growing operations, and could find police on their doorsteps if they didn't notify Health Canada by April 30 that they had stopped production and destroyed all their plants. It's very confusing right now, and for people like me who are thinking about this and absorbed in it all day, it's kind of hard to keep track of what's going on. - Dana Larsen, director of non-profit group Sensible B.C. But a Federal Court ruling on March 21 changed the legal landscape, at least temporarily, and users licensed for personal production as of Sept. 30, 2013, will be able to keep growing their pot at home pending a future trial. "That's a bit of a reprieve," says Lynne Belle-Isle, chair of the Canadian Drug Policy Coalition. "People that had established home gardens to cultivate cannabis had been panicking and didn't want to destroy their crops, and didn't want to get rid of their equipment and have to pay expensive prices to get it [medicinal marijuana] from commercial producers." Even with the temporary reprieve, however, there is still much uncertainty about the new rules for users and the new private-sector commercial marijuana production industry that could be worth more than $1 billion a year by 2024. "It's very confusing right now, and for people like me who are thinking about this and absorbed in it all day, it's kind of hard to keep track of what's going on," says Dana Larsen, a marijuana activist and director of the non-profit group Sensible B.C., which is campaigning for a provincial referendum on marijuana decriminalization in 2014. "For an average person … there's a ton of confusion." Here's a look at some of the issues the news rules have raised. Under the new Marijuana for Medical Purposes Regulations, doctors will in effect become gatekeepers, determining who can gain access to pot legally. It's a position many are reluctant to take on. Until now, users applied to the medical marijuana program through an application form signed by their doctor, which indicated that the physician was aware the patient was using pot for medical purposes. Under the new rules, however, users "seek a medical document from their doctor similar to a prescription directly instead of applying through Health Canada, and so a big issue there is that the physicians are quite reluctant to sign prescriptions," says Belle-Isle. The Canadian Medical Association has made its concerns very clear, noting in a news release earlier this month it "remains adamant that it will not throw its support behind medical use of the drug until numerous questions about safety, efficacy, dosage and delivery have been answered." Larsen says the new requirement is a big issue, especially in rural communities where there may only be one or two doctors. "Having doctors as the gatekeepers is not something that doctors want. 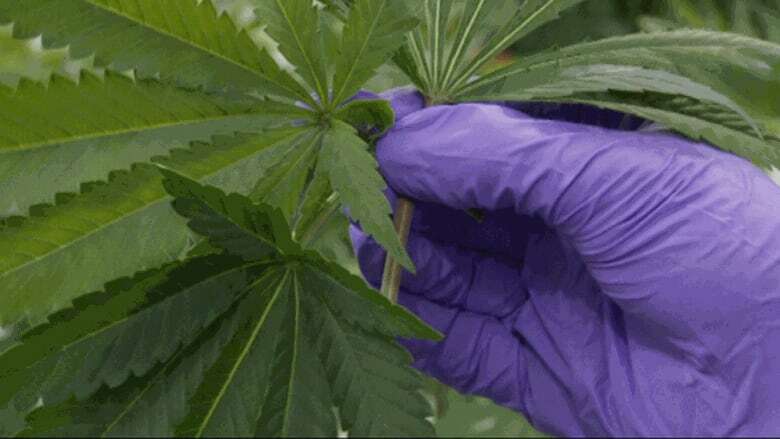 And it's not something patients want because they can't find a doctor to sign off on the use of this plant, so there's still a lot of access issues around there that need to be resolved." The Health Canada website lists 12 authorized licensed commercial producers, although two weeks ago, CBC News reported that only three producers were fully up and running. Speculation had been rampant that the licensed producers wouldn't be able to keep up with the demand from the roughly 40,000 medical marijuana users across Canada, although Belle-Isle says she's not sure what the impact of the change will be. "I could speculate as well and say I think it's the opposite," she says. 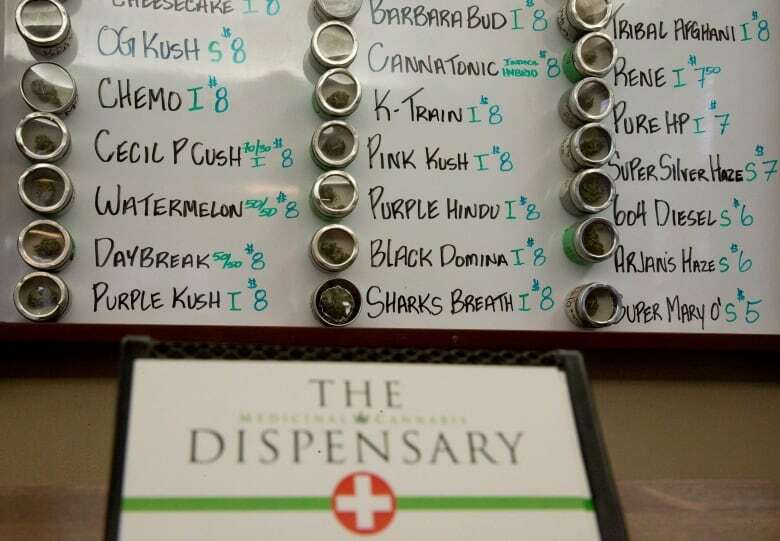 "With the reluctance of the physicians to sign those prescriptions, I'm not so sure there'll be a flood of new customers for these licensed commercial producers. We'll have to see how that plays out." Some of the producers have served notice that the March 21 ruling has had no direct, immediate impact on their operations. 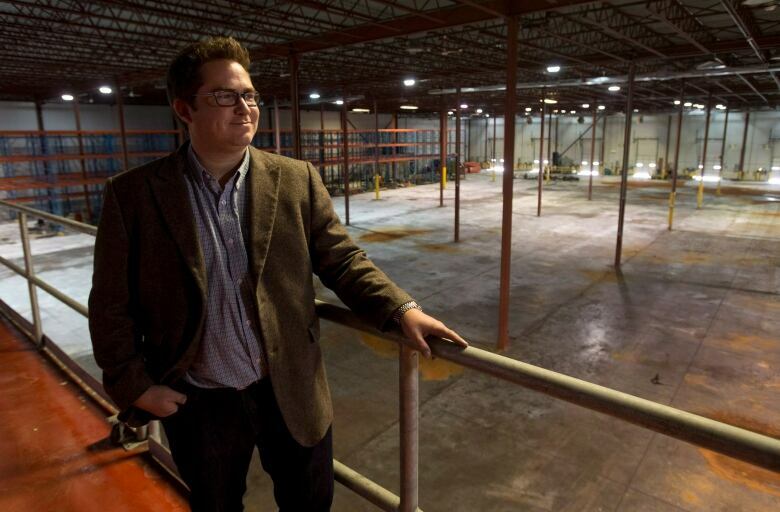 "At Tweed, it is business as usual," CEO Chuck Rifici said in blog posting on the website of the company that is transforming the former Hershey's chocolate factory in Smiths Falls, Ont., into its marijuana grow operation. "The immediate effect of the … court decision will likely mean lower initial numbers of ... patient registrations in the short term, as many may choose to continue growing their own medicine until the issue is settled by the pending trial." But the company is looking forward to offering increased choice to users and showing, "that we are a simple and safe alternative to growing at home," Rifici wrote. Another supply issue Larsen notes is the fact that the companies can only sell dried marijuana buds, and not the capsules, creams, tinctures, food products, extracts and concentrates that some users favour. "They can only sell smokeable buds, and I think that's really missing out on a lot of the medicinal value of cannabis because of that rule," says Larsen, who runs a cannabis dispensary. Belle-Isle does see advantages, in that the commercial producers will be growing various strains of marijuana, "which is great for consumers that want options." She also considers it a "positive thing" that there are regulations around the commercial production. "The quality control is there," she says. "There's a safety aspect for the user, so that's a good thing." The cost to buy a gram of marijuana from one of the commercial producers appears likely to be somewhere in line with the price on the street. Belle-Isle expects the price will probably be in the range of $6 to $12 a gram, something that could be quite a price hike for someone who had been growing pot at home. "I've heard recently they can grow for about 50 cents a gram, so going from 50 cents to $12 is quite a jump." At dispensaries in Vancouver, Larsen says, a gram typically sells for about $7 or $8. "The thing is, we're paying prohibition prices. Our growers face the penalty of law and they have the option to sell it on the black market for similar prices as they sell it to us." Larsen says the price could drop substantially if large quantities can be commercially produced, a situation he acknowledges would put dispensaries like his out of business. "But I would actually consider that a victory," he says. "If the day comes when my dispensary can't compete because legal cannabis products are cheaper, higher quality and more accessible than we can provide, I would happily shut down and consider that a victory."